The 1973 beginnings of UCLA’s Institute of Archaeology hardly signaled greatness. Its annual budget was a paltry $6,000. Founding director Giorgio Buccellati had a staff of one, a part-time assistant who worked a few hours a week. The institute didn’t have a home. From these humble beginnings has grown one of the world’s largest consortia of working archaeologists, including some 30 UCLA professors from 11 different disciplines. They work alongside roughly 60 research associates, primarily freelance archaeologists affiliated with nearby colleges and universities. UCLA’s Cotsen Institute of Archaeology has also become home to one of the world’s preeminent archaeological presses, which publishes some 10 titles a year. In its latest survey, the prestigious National Research Council ranked the Cotsen’s affiliated Archaeology Program first in the nation among doctoral programs in the field. Among the impressive string of major excavations which Cotsen scholars have helped bring to light are Urkesh, a 300-acre, fourth- to-second millennium B.C. city in northeast Syria; the first complete, large-scale gravesite from the Illyrian culture, which was referred to in ancient Greek texts; a cave in Armenia that housed the world’s oldest wine production facility; and the richest archaeological tomb ever excavated in the Americas, the gold-encrusted Moche tombs at Sipan in Peru. But in 1958, UCLA was only the home of the Southern California Archeological Survey, which deployed expertise in field archaeology on highway- and dam- building projects that were likely to uncover Native American remains or artifacts. 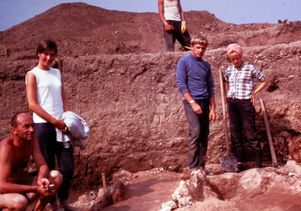 To meet the needs of the many students involved in the survey, the anthropology department started offering graduate studies in archaeology in 1969, according to documents. At the time, UCLA had 20 to 30 professional archaeologists in its orbit, Buccellati estimated. Archaeologists work on an early dig. Two years after the institute’s founding, it established a publications unit, the seedling of what grew into the Cotsen Institute of Archaeology Press. After outgrowing Buccellati’s desk drawer, the institute shuffled from one unsatisfactory space to another until 1990, when the Fowler Museum opened under archaeologist Christopher Donnan, who served as the museum’s founding director. The institute moved in and has occupied the building’s labyrinthine basement ever since. In 1998, Lloyd Cotsen, a successful businessman who had fallen in love with Greek archaeology as a graduate student in the 1950s, endowed the institute with a $7 million gift. 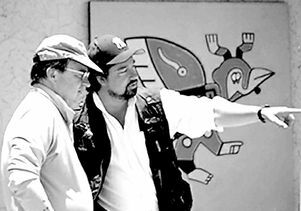 By that time, Cotsen had been participating for decades in the institute’s activities, including archaeological digs and documentation efforts. An additional $10 million gift pledged in 2006 by Cotsen gave the institute “the largest de facto endowment in the world for the study of archaeology,” said Charles Stanish, the Cotsen’s current director. 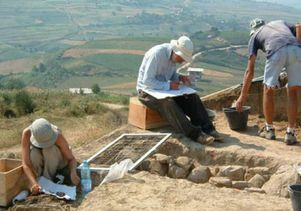 Archaeologists work on unearthing Illyrian artifacts at an excavation site in Albania. In honor of the institute’s 40th anniversary, Cotsen has once again dug into his pocket and endowed the Cotsen Prize for Life-Time Achievement in World Archaeology, which is envisioned as the premiere prize in the field. To be given every three years, it is intended to recognize great scholarship and mentoring. To celebrate how far it has come, the Cotsen will host a series of special programs beginning Wednesday, April 24, and running through Saturday, May 4. The mix of scholarly and public events will bring luminaries from the world of archaeology to campus and provide access to the institute’s highly specialized and intriguing laboratories. All free and open to the public, the events will take place in Lenart Auditorium in the Fowler Building, unless otherwise specified. On Friday, May 3, at 6 p.m. Ofer Bar-Yosef, a Harvard University archaeologist and the inaugural recipient of the Cotsen prize, will lecture. 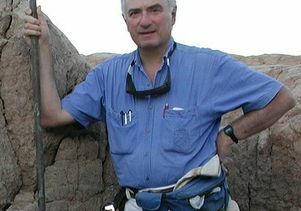 An Israeli American archaeologist who has led excavations in Egypt, Israel, Czech Republic, the Republic of Georgia and China, Bar-Yosef will describe the origins of agriculture in the Near East. Archaeology supporters have always looked forward to Cotsen’s annual open house, a 16-year tradition. 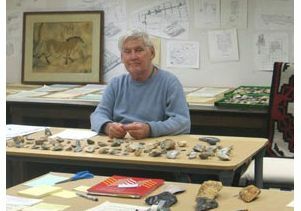 On Saturday, May 4, all 18 of the institute’s labs will be open to the public for the first time, including the Moche lab where legendary archaeologist Donnan worked on artifacts found in Sipan and numerous other Moche tombs; the Old Stone Age Lab, home of James Sackett, the Cotsen’s second director and an authority on Europe’s paleolithic period (100,000 to 35,000 years ago); and Buccellati’s Mesopotamian lab. The tours, which often attract families, run from 1 p.m. to 4 p.m.
At 2 p.m., Colin Renfrew, a senior fellow, professor emeritus and renowned former director of the McDonald Institute for Archaeological Research at Cambridge University, will lecture. A past visiting lecturer at the Cotsen, Renfrew is known for his work on radiocarbon dating, the prehistory of languages, archaeogenetics, ancient Greek archaeology and the prevention of looting at archaeological sites. Titled “Before Religion: Excavating the Oldest Maritime Sanctuary in the World,” his talk will address archaeology on Greece’s Cycladic Islands. In all, the Costen is expecting more than 500 people to attend festivities. For a complete list of events celebrating Cotsen’s 40 years of discovery, see this.